“Opportunistic” is one word that can be used to describe the Athletics‘ 2017 season. Given the opportunity to part ways fan favorites of yesteryear, Oakland traded away Sean Doolittle, Sonny Gray and Stephen Vogt, acquiring a collection of promising prospects. Given the opportunity, the powers that be handed the keys to their vehicle to a homegrown assortment of little-known youngsters. And given that opportunity, said youngster seized the league’s fifth-best record (13-7) over the final 20 games and the American League’s fifth-best record (17-13) over the final 30. Now it is up to Vice President of Baseball Operations Billy Beane and General Manager David Forst to make the most of its own opportunity to parlay this young, up-and-coming group into Oakland’s first postseason appearance since 2014. Beane addressed the opportunity he and Forst have been granted through the improvements from 2016. On the surface, those improvements look minimal. The A’s finished with 75 wins, just six more than their 2016 total, and in the AL West cellar for the third straight season — the first such run in franchise history. But a deeper examination of the team uncovers some things for the front office to very excited about. Going 46-35, the A’s finished with their first winning record at home since 2014 (their last postseason appearance) and 21-21 in one-run games, up from 25-28 last season. Oakland also played up to its competition, boasting a season record of 24-25 against opponents with a record of .500 or better, proven with sweeps of the first place Houston Astros and then-postseason hopeful Texas Rangers boosting a 17-7 record over the final 24 games. Manager Bob Melvin stated the obvious Monday, saying things ended up a lot better than they started. But, why? Simple answer: rookies like Matt Chapman (14) and Matt Olson (24) showed up on the scene with a power display, aiding the A’s to 234 home runs, within nine of the franchise record (243, 2008). And rookies Daniel Mengden and Paul Blackburn showed up in the second have to bolster an otherwise problematic pitching rotation, which still ended up among the AL’s worst. All the while, Olson and Chapman solidified the defense from their corner infield positions and Boog Powell did so from his post in center field. Therein lies the promise — the opportunity. Oakland got so much along its road to recovery from players who have yet to see their insurance rates drop on their 25th birthdays. Guys who, for all intents and purposes, weren’t supposed to be impacting the team this year. And the organization’s No. 1 prospect, infielder Franklin Barreto, remains at the front door of the Oakland Coliseum steadily pounding. Now, what pushes this young team from a six-game improvement into a competition with the Astros for the divisional crown? That sentiment was echoed by booth Beane and Forst, each of whom offered the word “disappointing” when discussing the efforts of their staff. A’s starters combined for a 4.74 ERA (11th-worst in the league). Their lone complete game came compliments of Mengden, who shut out the Phillies on Sept. 15, and their 61 losses were 10th-most in baseball. Part of the problem can certainly be attributed to injury. Ace Kendall Graveman made just 19 starts, losing two months to shoulder issues, and Sean Manaea missed a handful of starts with his own shoulder strain. 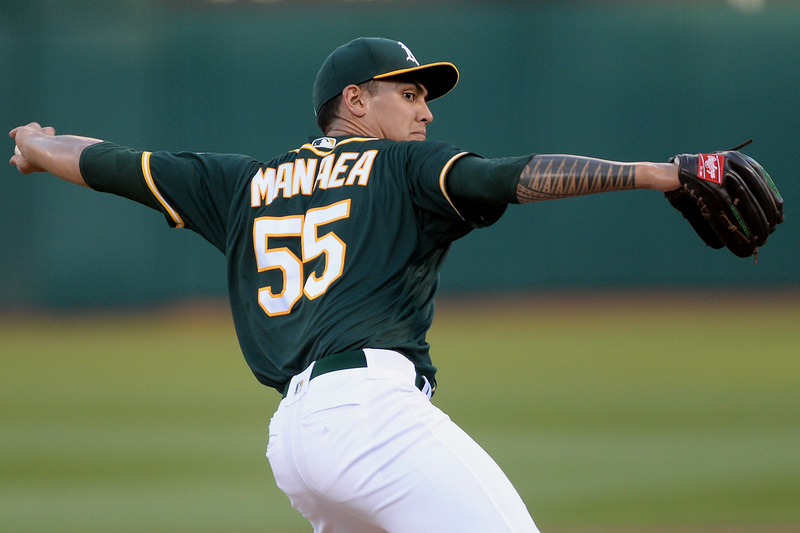 When he was on the mound, Manaea battled drastic weight loss brought on by attention-deficit disorder medication. Those two hurlers, along with Gray, who was traded at the non-waiver deadline, were supposed to lead the staff — the club. Part of “setting” the pitching staff of 2018 and beyond will be finding the correct free agents (or trade options). a pitcher that fills the need for veteran leadership. According to Beane, the discussions regarding the identification of those options has already begun. The price tag is of monumental importance. 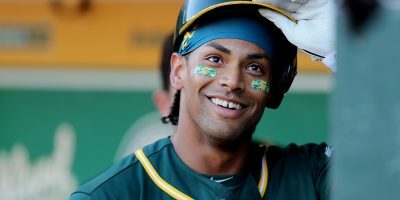 With guys like Khris Davis, who has homered 85 times since putting on the green and gold, Marcus Semien and Graveman entering salary arbitration and the team with their eyes affixed on the future. 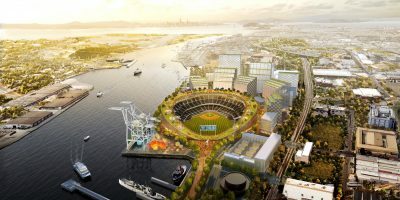 According to Beane, the time is now for the A’s need to be “proactive,” to begin building to a World Series contender with which to open their new stadium, expected to open in 2023 — the club’s multi-year plan. And that begins with long-term deals for guys like Chapman and Olson, Ryon Healy and Bruce Maxwell, and every other Athletic who will have their potential long-term contributions to the club placed squarely under the microscope this winter.